January 24, 2018, 9:15 a.m.
Around this time last month, tech-giant Apple faced criticism after admitting to slowing down older model iPhones when their battery is old, cold or has low charge. Apple chief Tim Cook responded by announcing that an update for iOS will provide a new option to turn off the feature that slows down devices. 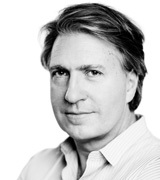 But what impact has the negative press had on consumer perception of the brand? 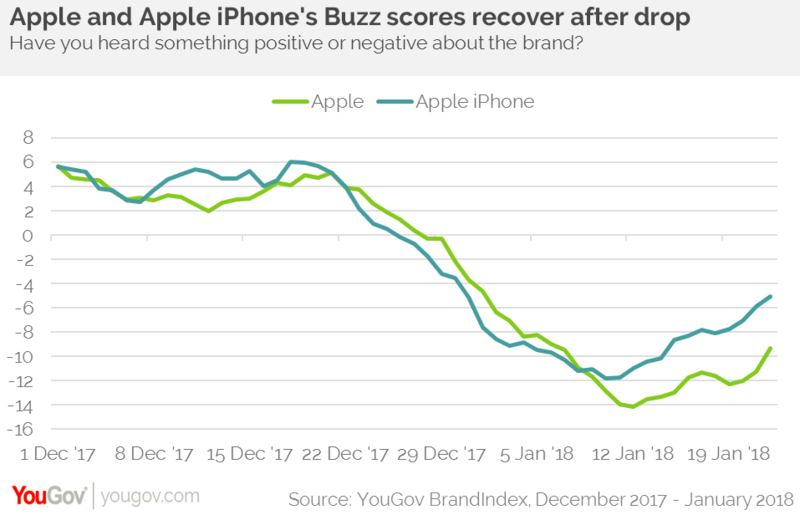 YouGov brand tracking data shows that the news has had an effect on Apple iPhone’s Buzz score (whether you have heard something positive or negative about the brand), which dropped from +6 points on the 19th December to -12 points at its lowest point on the 10th January. The overarching Apple brand’s Buzz score has also taken a hit, declining from +5 to -14 over the same period. But things now appear to be improving – with Apple iPhone’s Buzz rising by 7 points and Apple’s score rising by 5 points. However, both remain in negative territory. The adverse press has also affected the Apple iPhone’s Impression score (do you have a positive/negative impression of the brand?). Among all respondents the measure initially dropped from +25 to +13 but again there has been a partial recovery (to +19). There was a similar decline among the brand’s customers, with their Impression score decreasing from +74 to +59, before rising again to a current point of +71. Of course Apple is not the only major tech brand to face a crisis. And while there may be some customers thinking of switching to another manufacturer, they will remember difficulties others have experienced. Apple’s rival Samsung saw many of its brand health metrics decline markedly following press around its ‘exploding phones’. In Samsung’s case, though, while it did eventually see its Impression score recover to pre-crisis levels, it took around 12 months to do so. Apple can therefore take solace from the fact that its own scores are already showing improvement, and especially so among its existing customer base.